An update for the iPhone that Apple claims will improve the way in which it reports the network signal that it is receiving has been released. 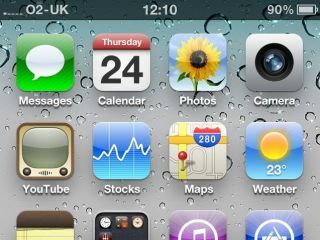 Called iPhone iOS 4.0.1 the update is apparently only to update the problem that Apple confessed left it 'stunned' when it was discovered, but does also slightly elongate the size of the bars in the user interface. The update was rolled out to developers earlier in the week, but is now available to all. The makes of the iPad, iPod and iPhone sent a letter to customers that said that the reception problem in the iPhone 4 was something that every mobile phone suffered from and that the real problem was that its handsets had been misreporting the strength of the signal. Thus, suggested Apple, when people held the iPhone in a certain way, the degradation seemed more dramatic than it actually was. Of course, cynics have flocked to debunk the statement, but with a press conference looming at Apple HQ, the release of a fix for the misreporting is at least a step in the right direction. According to the release notes the Apple iOS 4.0.1 update does not affect anything else in the phone's operating system (the bar length is not mentioned).